Once again, Texas A&M International University proves its mastery to prepare students to thrive on any endeavor they wish to undertake. 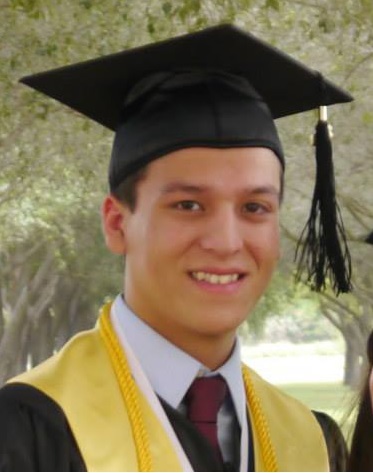 TAMIU graduate Philip Balli (’2013) has been accepted into The University of Texas’ Writing for Film and Electronic Media Master in Fine Arts Program for Fall 2016. The screenwriting program Balli was accepted into only allows six to seven students per cohort. This year 90 students from all over the nation applied for admission, and Balli was one of the students from South Texas to be admitted out of 5 other selected. Balli said that he was first inspired to pursue a career in screenwriting thanks to a class he took at TAMIU. “I think the first class I took was Film Studies with Marcela Moran. I’ve always had an interest in film, but it never really strike me as something I could do with my future, until I took that class.” He continued to take Video Production classes where he got his first experience writing scripts. “I wrote on my cover letter for my application that even thought it was only a 15-page script, it was small, but it was nice being able to write it and then produce it and see it all the way through to the end,” Balli said of his classes in TAMIU. He has also been named the recipient of a renewable James A. Michener Fellowship. “I think one of the reasons they accept so few students each year is because of the type of funding they offer, is called the renewable James A. Michener Fellowship to each of the students so that automatically gives each of the admitted students 5,000 dollars for the year,” Balli said. While at TAMIU, he was an intern in the University’s award-winning Office of Public Relations, Marketing and Information Services. Balli has also been working as a Reporter for The Laredo Morning Times, a position he secured immediately after his TAMIU graduation. At the newspaper he covers the federal and local court cases, an opportunity that inspired him to write the script that ultimately got him admitted to the Master’s program. “The script that I wrote and submitted for the application it’s a pilot for a TV script, 16 pages long and it’s a border drama, it is fictional; and I based the entire idea on a fictional border town but it’s basically Laredo,” Balli said. The show is about border violence, municipal corruption and normal life on a border city. Balli is already planning his future as a screenwriter and looking into the different options and decisions he’ll have to take once he graduates from UT. “A component of the program is a required internship and right now I am thinking I would like to intern in LA and that’s one of the options that most of the students go for,” Balli said.